With reverse breathing, when you inhale, your abdomen and Dantien draw inward toward the Ming Men point on the lower back on the same plane as your navel (see image below). 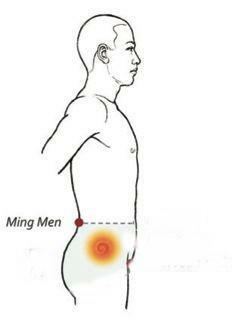 You should feel the lower back around the Ming Men point "fill up" when you inhale. When you exhale, the Dantien and abdomen expand and drop. I have used reverse breathing since 1987 for my Qigong practice until a couple of months ago. Internal Breathing is also called "Deep" breathing, because rather than expanding outward or drawing inward, you prevent yourself from doing that. Instead, when you inhale, you work to ensure that your lungs and diaphragm are filling up and expanding downward. When you exhale, your diaphragm rises, but throughout it all, your chest and abdomen are not moving much at all either outward or inward. It is supposed to fill your lungs better and oxygenate your blood better. And trust me, since I lost the function of my left lung 10 years ago, I can use all the oxygen I can get. Some internal masters have said that you should "breathe from your toenails." 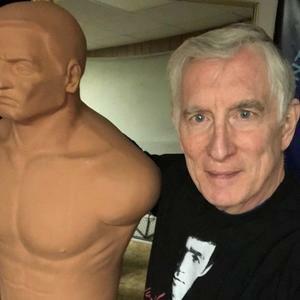 As I have experimented with Internal Breathing, I experienced an unusual sensation that made me understand what they were saying. I was doing Internal Breathing while doing Zhan Zhuang one afternoon and suddenly, when I inhaled and moved my diaphragm downward, I felt a fullness flow down into my legs and down to my feet. I exhaled and it seemed to flow back up and out of my legs. That was pretty cool, so the next time I exhaled, I focused on my energy going from my Dantien to my toes. Again, I felt the sensation flowing down my legs. Now, every time I do Internal breathing, I feel that sensation. I have also felt sensations when doing reverse breathing, so it is not unusual, but it made me realize why the old masters talked about breathing from your toes. Perhaps they felt the same thing. I believe Qigong has many benefits -- primarily it helps you manage stress, center yourself, learn to sink your energy and practice the ground and peng jin. When you manage stress and relax, your body functions better as the healing machine that it is. You don't have to believe in anything mystical to get the benefits. So I invite you to experiment with these breathing methods. The slower you do a form, the more you can do reverse or internal breathing. But when doing Qigong, try reverse or internal breathing. And let me know how it goes.